Your Journeys Highlight Moment: Tsukiji Sushi Experience, Tokyo Your Journeys Highlight Moment: Zen Buddhist Meditation and Calligraphy, Kyoto Your Journeys Highlight Moment: Kembu Masters, Kyoto Your Hands-On Moment: Chopstick and Gold Leaf Painting Experience, Kanazawa. Tour of Tokyo including Meiji Jingu Shrine and Asakusa and Harajuka districts. Walking tour of Tsumago Village and countryside. Kaiseki dinner. Visit Kanazawa samurai and geisha districts. Visit Nomura Family Samurai Residence and Myoryuji Ninja Temple. Visit Himeji Castle. Visit Hiroshima Peace Memorial. Excursion to Miyajima Island. Zen tea experience. 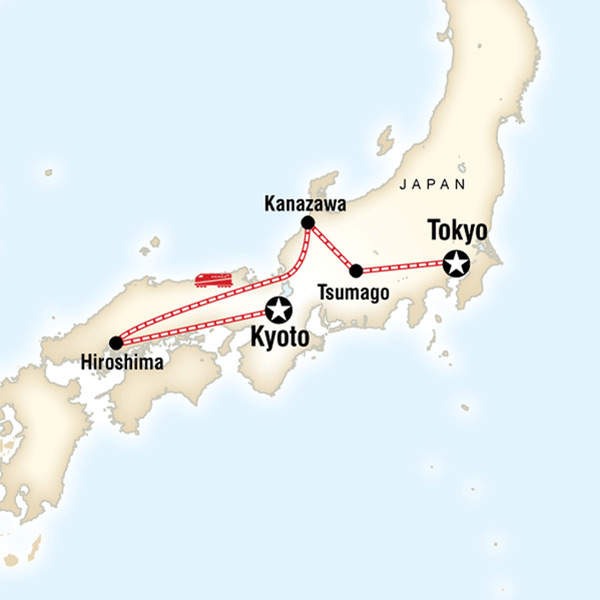 Tour Kyoto and Nara including Fushimi Inari, Kinkaku-ji Golden Pavilion, Todaiji Temple, Kasuga Taisha Shrine (Jan - Sep). Visit Gion Geisha district. Japan Rail (JR) pass (7 days). All transport between destinations and to/from included activities. Eating is a big part of traveling. G Adventures knows that worldwide, local cuisines define the cultures. We think sampling regional delicacies are intrinsic to truly experiencing the country. We want you to be able to try foods according to your individual tastes, comforts, and budgets. Generally meals are not included in the trip price when there is a choice of eating options, to give you the maximum flexibility in deciding where, what and with whom to eat. It also gives you more budgeting flexibility. At times, meals will be taken together as a group. Other times, your CEO will point you in the direction of several delicious options, and you will have free time to pick and choose at will. Often in Japan it is fun to get some snacks and beverages with the salarymen in the evenings at small restaurants, and other times it is fun to sit with a few friends at a sushi train. Your CEO will always strive to cater for all dietary requirements/preferences, but please keep in mind that Vegetarianism/Veganism is very uncommon in Japan so this may mean a more limited selection for you. A mix of Western style hotels (10 nights) and Japanese traditional inns (1 nights). Japan is one of the most populous countries in the world and space is at a premium. Therefore, hotels rooms are small! Additionally, most Japanese hotels do not have designating non smoking rooms. Therefore, we ask hotels to deoderize rooms before check in. Question: How much is the single supplement for the trip? The single supplement for Iconic Japan prices out at $1879 USD, however they only have a small amount of single rooms available on any given tour date. Note: AffordableTours.com is a travel agent for National Geographic. All prices, itineraries, accommodations and dates are subject to change without notice and at any time by the tour operators. All prices are USD per person and based on double occupancy. Availability is limited and must be reconfirmed at time of booking. 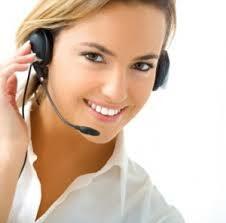 Please call us toll free at 1-800-935-2620 to confirm availability and current pricing on all our discounted specials. The prices on this website are not guaranteed until a deposit has been made. We are not responsible for errors, omissions, or changes in these prices until a booking has been confirmed by one of our agents. Some land prices may include an internal air component and discounts will not be offered on the internal air component. Discounts will not be offered on packages with a land price of less than $500.